Installation of the new 600hp Curtiss V-1570-1 Conqueror engine in a P-2 airframe for participation in the September 1927 National Air Race at Spokane led to the application of the designation XP-6 (Curtiss Model 35). The prototype placed second averaging 189 mph. A similarly-powered aircraft utilising a P-1A fuselage, untapered XPW-8A wings and surface radiators in both the top and bottom mainplanes became the XP-6A. A third Conqueror-powered conversion of a P-1C airframe for a New York-Alaska flight, in July 1929, was assigned the designation XP-6B. Although these aircraft were intended purely to prove the Conqueror engine, the success of this power plant prompted a USAAC order for 18 P-6s (as YP-6s) on 3 October 1928, these being powered by the 600hp water-cooled V-1570-17Conqueror. 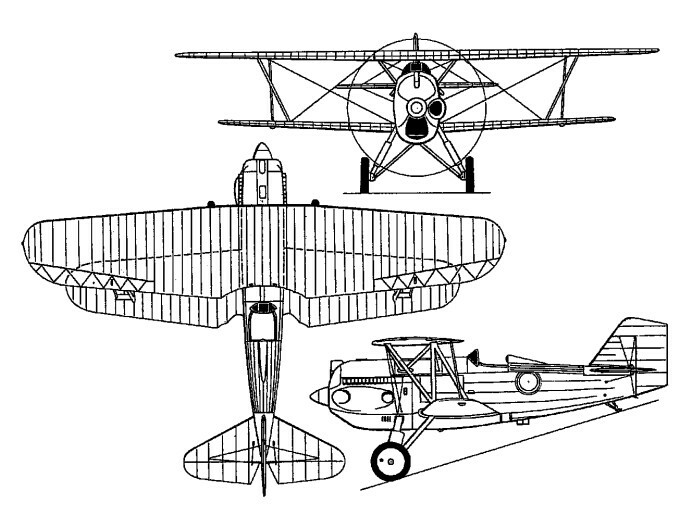 Although generally similar to the P-1 in construction, they embodied extensively revised fuselage contours, a deeper fuselage, and were aerodynamically cleaner. Deliveries commenced in October 1929, but with the 11th aircraft Prestone (ethylene glycol) cooling was introduced, the designation changing to P-6A. The V-1570-23 engine in the P-6A had a similar rating to that of the -17 that it supplanted; armament remained unchanged at two 7.62mm guns. In service, eight of the Army Air Corps P-6s were brought up to P-6A standards. Eight additional P-6s were delivered to the Netherlands East Indies and one to Japan under the export designation Hawk I. Subsequent to being converted as a P-6A, the first production P-6 was fitted with a side-mounted turbo-supercharger on its V-1570-23 engine as the XP-6D, and, in 1932, 10 P-6As were fitted with F-2F superchargers as P-6Ds. In addition, two aircraft originally ordered as P-11s (P-6 airframes with the unsatisfactory 600hp Curtiss H-1640 Chieftain engine) were completed as P-6Ds. The P-6D was 122kg heavier than the P-6A and featured a three-bladed propeller, and its performance included max speeds of 306km/h at 3050m and 317km/h at 3960m, service ceiling being 9755m. Of three P-11s ordered, two were completed as P-6s as the intended engine (Curtiss Chieftain) was found unsuitable; the third became the YP-20 with a 575-hp Wright R-1820-9 Cyclone radial engine. Modifications to all three included a new control system, a tailwheel instead of a skid, spats on the main wheels, and more fin and less rudder area. The XP-22 was a P-6A, retaining the Conqueror engine but having a modified nose and radiator, single-strut main undercarriage legs and revised tail unit. 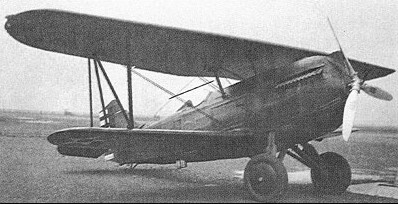 Forty-six of these, ordered as YIP-22s, were completed as P-6Es; 45 were delivered in late 1931/early 1932, the remaining aircraft becoming the XP-23. The Army Hawks engendered a bewildering assortment of experimental conversions, reconversions and redesignations, but the mainstream production models were the P-1, P-2, P-3, P-5 and P-6 fighter series. When the V-1570-23 engine of the XP-22, complete with three-blade propeller and the cowling, plus the cantilever main undercarriage members of the XP-22 were grafted on the YP-20 airframe in the autumn of 1931, the result was designated XP-6E. The 45 Y1P-22s ordered during the previous July and which were briefly to be referred to as P-6Cs, being designated as P-6Es by the time deliveries began on 2 December 1931. Powered by the same 600 hp Curtiss V-1570-23 Conqueror engine, the P-6E carried an armament of two 03-in (7,62-mm) Browning machine guns and 17 surviving examples were eventually assigned to ground schools during the summer of 1939. In the spring of 1932, the XP-6E was returned to Curtiss for a turbo-supercharged V-1570-55 engine of 675 hp, a fully-enclosed cockpit with aft-sliding canopy being fitted at the same time and the designation being changed to XP-6F. This attained 225 mph (362 km h) at 18,000 ft (5485 m) during tests. One P-6E was temporarily assigned the designation XP-6G while being used as a test-bed for the V-1570-51 (F-series) engine, while the first production P-6E was also fitted with this engine and experimental wing armament as the XP-6H. The wing armament comprised two 0.3-in (7,62-mm) guns in both the upper and lower wings, these firing outside the propeller disc and augmenting the twin synchronised fuselage guns. Total Hawk production for the USAAC was 243 aircraft; in addition, eight P-6s were sold to the Dutch East Indies and one P-6, for evaluation, to Mitsubishi in Japan. Also exported were several 'Cuban Hawks', powered by 450-hp Pratt & Whitney R-1340 radial engines. Span: 31 ft 6 in (9,60 m). Length: 23 ft 2 in (7,06 m). Height: 8 ft 10 in (2,69 m). Empty weight: 2,699 lb (1 224 kg). Loaded weight: 3,436 lb (1 558 kg). Normal range: 285 mls (458 km).